Wet Bag. Large Swimming Bag. Fully Lined. 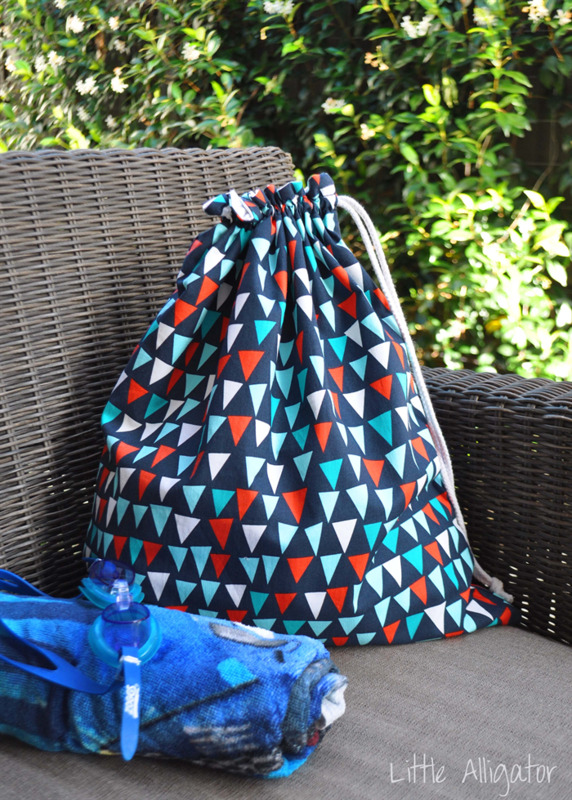 Pool or Beach Bag. Bunting Flags. 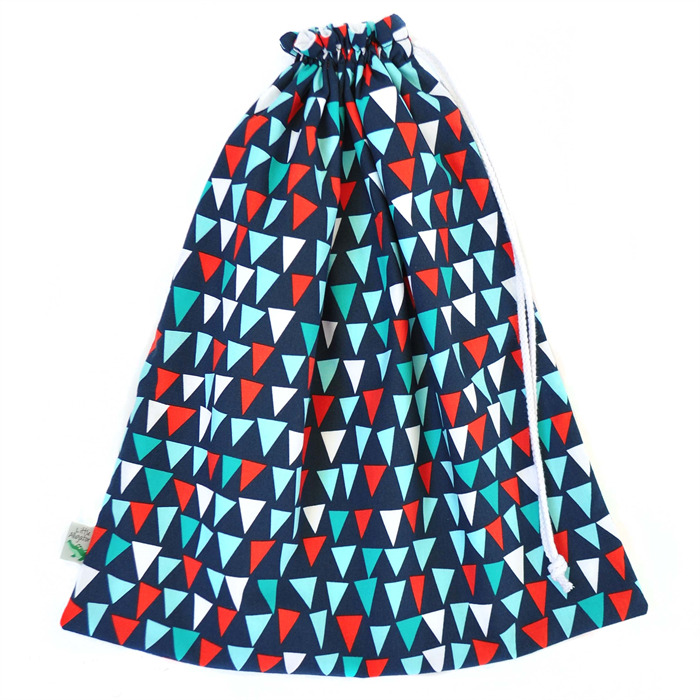 This is one swimming bag that will stand out in the change rooms or at the beach! These drawstring bags are a larger size than my library bags so they can hold a towel, bathers and a few clothes quite comfortably. The bag has been made with a designer quilting cotton exterior and is fully lined with waterproof PUL. Also great for use as a waterproof library bag, gym bag or shoe / gumboot / snowboot bag to keep dirt away from clothes when travelling. Simply wipe clean the inside or pop in the washing machine if it gets too dirty. All edge seems double stitched and over-locked for durability. Fully lined with white PUL. Easily hand washable in cool water if required. Line dry and Iron exterior cotton only. * Pattern placement may vary. The third photo is just an example of the inside of the bag. * Excessive water may seep through sewing holes but most moisture will stay contained within the bag. * As per my shop policies, please allow a week for your item to dispatched from receipt of payment. * PLEASE ALLOW 3-5 BUSINESS DAYS FOR ITEM TO BE DISPATCHED FROM RECEIPT OF PAYMENT. Newsletter: http://eepurl.com/z8lxf. All subscribers go into the quarterly draw to WIN a $20 discount voucher!